UAVR USB programmer is an in-circuit pogrammer for Atmel AVR controllers. 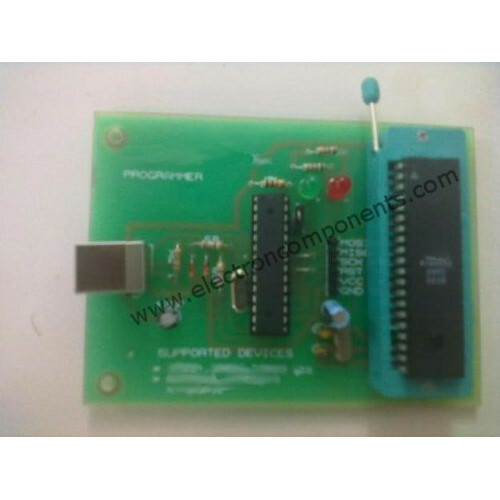 Majorly used for AVR series microcontrollers (Atmega 8, 8L, 16, 16L 32, 32L.. series). The Programmer works on USB port and can be used with Laptops. Software is compatible with Windows XP, Windows Vista and Windows 7. High speed programming and does't require external power.